What is a “Mini” Tummy Tuck? Weight loss, weight gain, aging, and pregnancy can have a negative effect on the appearance of your tummy. For most patients, loose skin, excess fat, and stretched out abdominal muscles won’t fix themselves: to recapture that flat tummy you will need a surgical tummy tuck, also known as an abdominoplasty. Let board certified Plastic Surgeon Doctor Jason Petrungaro help you complete your weight loss journey or return you to your pre-pregnancy form with a high-quality tummy tuck, one of the most rewarding procedures in the field of Plastic Surgery. Why choose tummy tuck surgeon Doctor Jason Petrungaro? Doctor Petrungaro is a board certified Plastic Surgeon who has successfully completed many years of surgical training in all aspects of tummy tuck surgery. He is well versed in the established traditional methods as well as the latest and most innovative techniques in abdominoplasty. He listens to his patients and respects their goals and wishes, and will always go the extra mile to deliver the most beautiful results possible. If you are searching for a Plastic Surgeon who can provide you with quality results from your tummy tuck coupled with high standards of patient safety and care, Northwest Indiana and Chicago area tummy tuck surgeon Doctor Jason Petrungaro will be happy to consult with you regarding this wonderful procedure. Visit with Doctor Petrungaro in our Munster office for an hour — you will leave knowing you have found a great partner in your quest for a slimmer, healthier look! 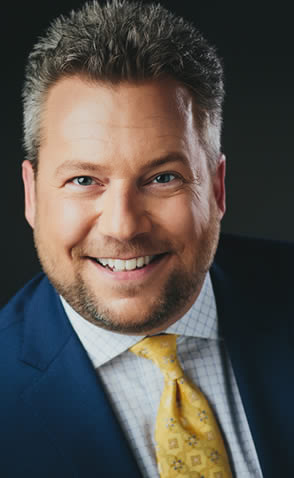 If you are interested in a tummy tuck and have questions or concerns, please feel free to call Doctor Jason Petrungaro at (219) 836-1163 or click to schedule a consultation online. Tummy tuck surgery, also known as abdominoplasty, is an extremely powerful surgery that restores a youthful and trim abdominal profile by surgically removing excess skin and fat combined with a repair of the underlying “stretched out” abdominal muscles. In addition, the belly button is moved or “transposed” into a more anatomic and aesthetic position on the abdomen. Skin damaged by stretch marks caused by weight gain and pregnancy can be removed during the procedure. Liposuction may also be used to achieve an even flatter tummy and to remove excess fat from around the hips. Tummy Tuck surgery is consistently one of the most popular Plastic Surgery procedures in the United States every year. In fact, there were over 129,000 tummy tucks performed in the United States in 2017, making it the #5 most popular cosmetic surgical procedure according to the ASPS 2017 Plastic Surgery Statistics Report. Americans spent a staggering $777,479,976 on tummy tucks in 2017 according to the same report. That’s a LOT of surgery folks! For all of you considering tummy tuck surgery, I am fully aware that pricing is a very important part of your decision-making process. What I would like to do in this blog is explain how a price quote is put together for an elective, out-of-pocket cosmetic surgery and then touch on some typical pricing for tummy tuck surgery. Let’s start with the price quote. There are multiple components of an elective cosmetic surgery quote, and they all must be added together to get you the “all-in” price. The first and typically most expensive component of the quote is the surgeon’s fee. This is the amount of money your Plastic Surgeon is charging you to actually perform the tummy tuck. The national average surgeon’s fee for a tummy tuck in 2017 was $5992 according to the above-mentioned study. So remember, this means half of the fees are less than this and half of the fees are more than this. Surgeon’s fees will vary widely depending on your geographical location as well as your proximity to major metropolitan areas. A tummy tuck is going to cost A LOT more in Manhattan or Los Angeles than it will in a small town in middle America. Please note that the average price I just mentioned in the previous paragraph is for a tummy tuck alone. It does NOT include any liposuction. My tummy tucks include extensive liposuction of the abdomen, waist, flanks, lateral chest, and back just about 100% of the time. Adding liposuction adds more surgery and more surgical time, thus increasing the overall cost of your surgery. The pricing example I give you later does NOT include liposuction. The next component of the quote is your surgery center fee. This is typically split into 2 parts – the anesthesia fees and the facility fees. Sometimes they are paid together and sometimes they are paid separately. These fees are what the anesthesiologist charges you to go to sleep and what the surgery center charges you for nursing, OR supplies, IVs, recovery, etc. Some surgery centers have set pricing for each procedure and some surgery centers charge the patient an hourly rate. Just like surgeon’s fees, facility fees can vary widely. The final component of the quote is what I call incidentals and extras. For my quotes this includes a small charge for a surgical binder and a second stage compression garment you are placed into after surgery and a cosmetic insurance policy that protects you against complications for 45 days after your procedure. It is important that you pay attention to the numbers you are quoted after your consultation. Some Plastic Surgeons will make it look like their prices are much lower than others because they are only providing you their surgeon’s fees and omitting the other charges I summarized above. Don’t be caught off guard when it is time to pay for surgery and all of a sudden you owe a couple thousand dollars more than you originally thought because the doctor’s office did not give you an all-inclusive price. Most offices (mine included) are happy to collect all of the fees and then pay the surgery center for you, but some offices require you to pay the facility fees directly to the surgery center. So, with the components of the price quote just explained, let’s answer the question! How much does a tummy tuck cost? Let’s take some very reasonable numbers and put them together. Let’s say $6000 for surgeon’s fees, $2300 for all facility fees (assuming a reasonable 2.5 hours to perform the surgery and remembering that some surgeons are faster than this and some surgeons are slower than this), and $350 for the incidentals. This puts your “all-in” price at $8650. This is a price for just a tummy tuck. It does not include any liposuction. Remember, I am taking numbers that I feel are very fair and putting together an example quote. 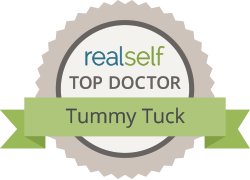 I have seen tummy tuck specials for $6000 and I know of patients that have paid over $10,000 for their tummy tuck. My advice? Never go to the cheapest doctor because they might not be very good at what they do, or they aren’t a board-certified Plastic Surgeon at all (the most likely scenario). And avoid the doctor who charges double and triple the national averages because it is pretty unlikely they do anything better than the other well-trained Plastic Surgeons in the area who charge fair prices. If you are close to your ideal weight but have not been able to get rid of the small pouch of skin and fat below the belly button, a mini-tummy tuck may be right for you. This procedure is designed only for the area below the navel and tightens the muscles in this area; however, in very select cases it is now possible to tighten above the belly button. Northwest Indiana and Chicago residents love the mini tummy tuck because of less downtime, easier recovery, and dramatic results. Additionally, it avoids the incision around the belly button. It is very important to note that the vast majority of patients seeking a tummy tuck are NOT candidates for a mini tummy tuck and will require the full, traditional abdominoplasty. During the procedure, Doctor Petrungaro first performs liposuction of the abdomen, waist, and back if Lipo 360 was planned with the Tummy Tuck. He will then make his incision, typically from hip to hip, and then lift the excess skin and fat off the abdominal wall all the way up to the breast bone. At no point in this procedure will the inside of the abdomen be entered. The belly button will remain attached to the abdominal wall, but an incision will be made in the skin in order to free it from the skin being removed. The underlying stretched abdominal muscles are brought back together with stitches in a process known as “plication” and then the excess skin and fat of the belly are surgically removed. The upper skin section is then pulled down and stitched to the lower incision line. Your belly button will be relocated to the correct position at this time. There are typically 2 drains placed which will be removed in the clinic in 5-7 days*. After the procedure you will be taken to the postoperative recovery unit in the hospital or surgery center. There the postoperative nurses will help you wake up from anesthesia and treat any immediate pain. Once postoperative recovery is complete, the patient has the choice of either going home or staying in the hospital overnight for monitoring and pain control. The majority of Doctor Petrungaro’s patients typically go home the same day. The decision to go home or stay overnight is made in the preoperative consultation. We are located only 25 minutes from Chicago! Are you a Chicago resident seeking a tummy tuck? Full recovery from a tummy tuck takes about 6 weeks*. You will be expected to take at least one week off work and relax in the comfort of your home. It is important to have family or friends that can help you with basic tasks such as sitting, standing, and laying down for the first 2-3 days*. Swelling and bruising are to be expected but will begin to resolve after the first 2 weeks*. Pain is typically very well controlled by oral prescription pain medications. You will see immediate changes in your abdominal profile, and it will continue to improve as swelling decreases in the first few months. During the first 2-3 days you will be required to walk bent over at the waist because of the tight closure of your belly skin*. After this time, your body will naturally relax and you will be able to stand upright. You will be encouraged to walk around as soon as possible to prevent any complications such as forming bloodclots in your legs and to speed the healing process. There are no major dietary restrictions, but you should avoid food that might upset your stomach. It is also important to eat foods high in protein, as this will help with wound healing. You will wear a compression garment for 2-4 weeks* to help reduce surgical swelling. For the first few days you can elect to have sponge baths, but if you would like to shower it is allowed after 24 hours. All strenuous activity (running, sports, yoga, etc.) is absolutely restricted for 6 weeks. During the 6 weeks of recovery, you will see Doctor Petrungaro in the office multiple times to make sure you are doing well and the wounds are healing nicely. As mentioned earlier, the surgical drains are typically removed in the office at 5-7 days. It is important to adopt and maintain a healthy diet and lifestyle to insure that your results will last and that you love your new look for years to come*. A tummy tuck is among the most gratifying Plastic Surgery procedures offered today, and nearly all patients are ecstatic with their results after surgery. $500 OFF your Tummy Tuck when you call now.